We all know that advertisers are no stranger to social media. Our news feeds are constantly supplying us with the next best product. With just a click of the mouse, you can gain access to your consumer’s newsfeeds. Gaining followers on social media is just the first step, but how can you take it a step further and encourage engagement from your target audience? When creating a content marketing strategy, you must ask yourself two questions. 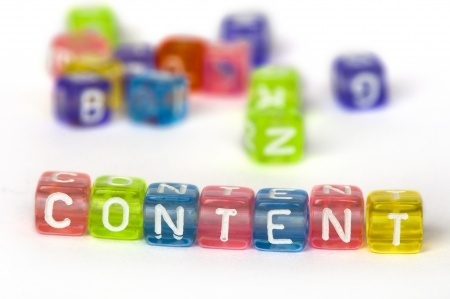 First, what type of content do you need? Do you want to entertain your audience? Do you need to introduce a new product? Also, consider which type of content will get the most interaction. Are your followers more apt to share a video or answer a poll? The answers to these questions will help you tailor a social media experience that will get you the most bang for your advertising buck. The second thing to consider in your content marketing strategy is how to create the type of content your consumers like. Keep in mind why people are on social media. They want to talk. They want to share. They want to engage. Your content marketing strategy needs to meet those needs. Your consumers want instant, timely content that is relative to what is going on in their lives. For instance, during the 2013 Super Bowl, when a power outage caused a lull in the excitement, the world’s most famous cookie company, Oreo, capitalized on the online buzz and tweeted “You can still dunk in the dark” and practically received a standing ovation from its followers, who retweeted with a vengeance. Creating effective content on social media should be the ultimate goal of all companies with an online presence. Whether you are seeking reviews or supplying your consumers with new ways to use your products, there are endless ways to be a valuable addition to your consumers’ social media experience. To tap into the endless ways you can engage with your target audience, contact the professionals at Susan J. Campbell Copywriting Solutions, who can help you create an effect marketing strategy. This entry was posted in Content Marketing and tagged audience engagement, content marketing, customer engagement, Susan J. Campbell Copywriting Solutions, target audience. Bookmark the permalink.